Ranhill Energy and Resources Berhad, an energy and water company which is scheduled to be listed in Main Market of Bursa Malaysia on the 31st July 2013 decided to delay its IPO. The decision came after a state oil firm Petronas suspended the licence of Perunding Ranhill Worley Sdn Bhd (“PRW”) for an indefinite period starting 17th July 2013. PRW is owned 51% by Ranhill and 49% by Australia’s WorleyParsons Ltd. On the 18th July 2013, Ranhill submitted an appeal to Petronas against the suspension and is currently awaiting formal response on the appeal. The licence enables PRW to bid for Malaysian projects awarded by Petronas, which has pledged to spend RM300 billion in capital expenditures between 2011 and 2015. The suspension follows PETRONAS’ review in relation to the Engineering, Procurement, Construction and Commissioning (EPCC) of Topside Construction Work for the LNG Regasification Facilities Project in Melaka. 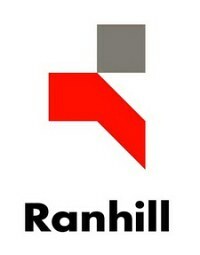 The suspension does not affect any ongoing projects that are being undertaken by Ranhill or its subsidiaries. The delay in the IPO is necessary in view of the significant portion of the revenue from Ranhill’s oil and gas business in Malaysia is derived through PRW from projects secured from Petronas. As the results of the delays, the allotment of the IPO shares to successful applicants as well as the listing of Ranhill has been deferred to a later date. Further details will be announced later. ya, I have raised this concern in the previous post. based on information from Oriental dairy News. O&G section is contributed 37%, Water 45%, power 17%. I m not insider, everyone in the industry knew about it. But the company aware this issue some time ago, no new project since 2012. But company still going for IPO, what is the intend? exiting plan…? With news like this even the IPO gets listed down the road the market will surely react with major selldown. I may buy from the market with minimun of 10% discount. SC is going to give option to investor either to withdraw or proceed with the investment in Ranhill. Is it a news or an opinion? If it is true.. Wht u guys think? Cont if the indicative price cheaper n invest on the utilities strength or abort the ship while we can?